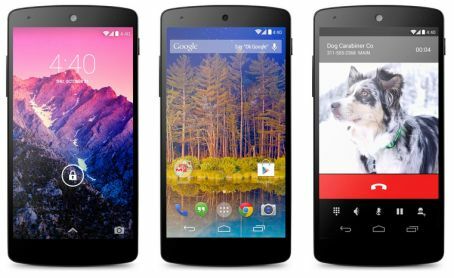 Google has launched its brand new Android 4.4 KitKat operating system officially along with Nexus 5 smartphone. Also Nexus 5 is the first device that pre-installed with Android 4.4 OS and other Google devices will get this update soon. 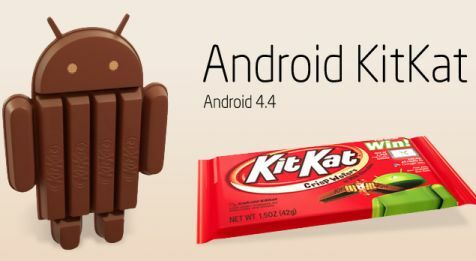 Android 4.4 KitKat is a major update to Android 4.3 Jelly Bean and it comes with lot of new features and User Interface changes. Android 4.4 is designed to run fast and smooth on very large range of devices including entry level devices even that have little of 512 MB RAM. So Android 4.4 KitKat works smoothly on low memory devices, many of the entry level smartphones now using 512 MB RAM only. There is configuration options for optimize memory through tune out-of-memory levels, set graphics cache, control memory reclaim and more. Android 4.4 KitKat comes with a translucent user interface that offers full screen mode that automatically hides anything except your apps. You have to just swipe the screen to bring back the status bar and navigation buttons. The new UI offers full-screen wallpapers and show full-screen album and movie art for content streaming. 3. Faster Multi-tasking - Android 4.4 provides high system performance by optimizing memory and improving your touch screen for responding faster. You can watch videos while browsing the web or playing games. 4. OK Google – You can activate Google Now Voice commands by just saying as “Ok Google” like Moto X. 5. Hangouts with Messages – Android 4.4 brings unified messaging app Hangouts that including SMS and MMS integration. Hangouts now allows users to send animated GIF videos to friends and sharing location. 6. Improved Dialler and Smart Caller ID – The new improved phone app make priorities for your contacts based on the calling frequence. Users can search for nearby places, contacts, peoples, businesses and Google apps peoples also from the phone app. 7. Enhanced support for Connectivity – Android 4.4 enhanced the communication support for low-power devices such as mouse, joysticks and keyboards through low power sensors. 9. Native support for Google Cloud Print – Print documents, web pages from your phone through any printed connected to Google Cloud Print. 10. Emoji on the Google Keyboard & Full Screen Recording utility. These features are part of the new updates, you can read complete features from Google's Android 4.4 developer site. Android 4.4 KitKat OS first available for Nexus 5, then it will be available for the Nexus 4, Nexus 7, Nexus 10 soon. Also Samsung Galaxy S4 and HTC One will get this update in coming weeks. Other devices will have to wait for the official update from their brands.